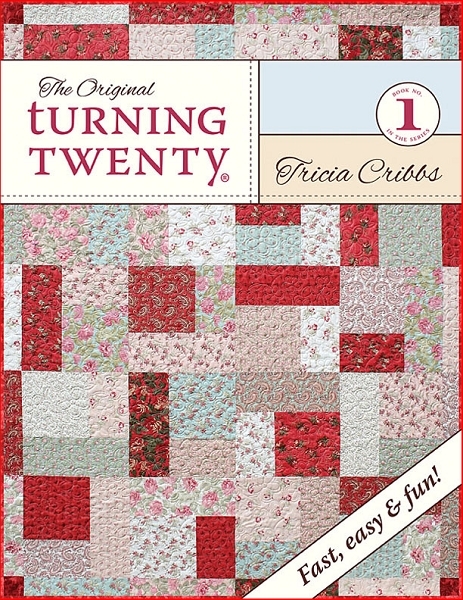 Turning Twenty shows you how to turn 20 fat quarters into a beautiful quilt in just three hours! No other fabric needed! Measuring 70" x 86" (82" x 98" with optional 6.5" outer border), the secret to a beautiful Turning Twenty quilt is in the selection of fabrics. Color, scale & fabric design are essential to keep it interesting & add to its charm. Perfect for a beginning quilter, a dream if you're an experienced quilter & wonderful for classes, Turning Twenty is so fast & easy that you'll find yourself making it over & over.